Low carb, keto approved garlic cabbage steaks are deliciously amazing and easy! Try them tonight as as the perfect side dish to any meal! 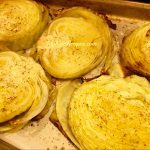 These garlic cabbage steaks are absolutely delicious! When I first started the Ketogenic meal plan I noticed there are a lot of recipes that include cabbage. Before now cabbage wasn’t something I ate very often, hardly at all actually. Once I started using it more in my meals I found out what I was missing out on! It’s like one of those things that as a kid I didn’t really like at all, but now that I am older and my tastes have changed I really enjoy! This is why I try to encourage my kids to try different things while they are young. Some things, like cabbage, they turn their nose up at the fist time. However, after they’ve tried it a few times, they really like it. I get requests for this recipe quite a bit. Cabbage steaks are really easy to make and delicious. They compliment the ketogenic diet really well and are great as part of a meal or even a snack. Even if you’re not a cabbage lover you will be after you eat these! The garlic and olive oil give these amazing flavor you’ll love! Feel free to add you’re own toppings to these. My favourite is to add crumbled bacon on top of mine which adds some fat to your meal and helps to fill you up. You can also use coconut oil or melted butter as a healthier substitute for olive oil. Add any seasoning or spices you like and enjoy! 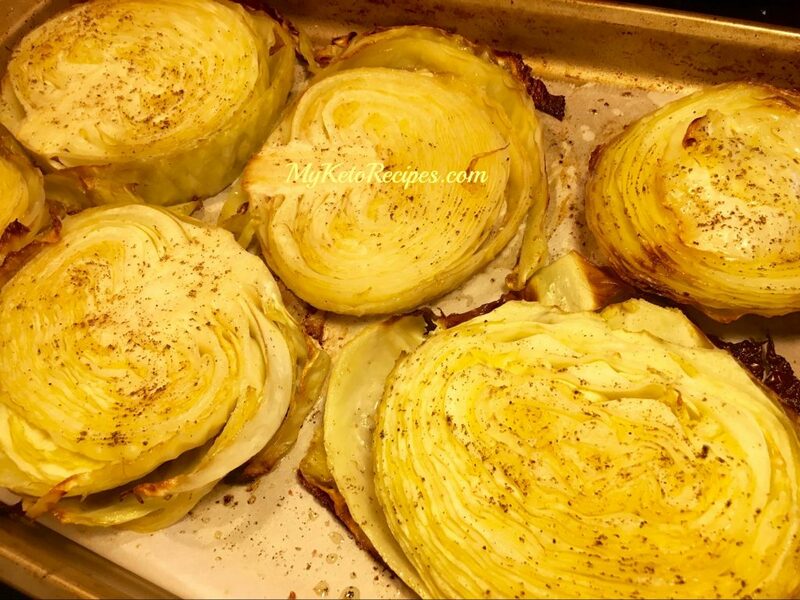 These cabbage steaks are absolutely delicious! They compliment the ketogenic diet well and are great as part of a meal or even a snack. Slice one head of cabbage into 1 inch thick steaks. Mix 2 Tablespoons of olive oil with 1 Tablespoon of minced garlic and brush onto both sides of cabbage slices. I’ve been working on losing weight for about 3 months now. Been successful most of the time! Have lost almost 40 lbs. It’s meals like this that help! Thank you!